You are here: Home / Life / What Happens When You Don’t Find Your Place in College? What Happens When You Don’t Find Your Place in College? When I first heard the word “placelessness” in a classmate’s poem during one of my first creative writing classes, the word stuck out to me. I couldn’t shake it from my mind, and to this day I still remember how hearing it made me feel—understood. When you think about moving to college, you also picture going home for holidays, right? Well, that didn’t apply to me. I moved to Athens, Georgia the summer before my freshman year at the University of Georgia. And that same week, my parents sold my childhood home and moved from Georgia to Florida. That doesn’t sound like a big deal, but believe me: It caused a ripple effect. Aside from trying to keep all of our boxes separated (which ones came to Athens with me vs. which ones went to Florida with my parents), the hardest aspect of moving meant saying goodbye to a place I knew I would likely never see again. While I tried to adjust to life in college, I remember hearing my fellow freshman classmates talk about their plans of driving home whenever we had a long weekend. When friends asked about my plans for upcoming breaks, I’d tell them I remained stuck in Athens. An 11 hour drive to the closest thing I had to “home” was too much when I only had one day off. The few times I did go to stay with my parents, usually over the summer, I felt like a guest. Even though we’d remained close as a family, this new house was alien to me. I went from knowing it like the back of my hand to asking where they kept the guest towels. For so long I’d grown up watching sitcoms where characters in their 30s would go home. They’d walk around their childhood bedrooms, marveling at how it had remained unchanged for all those years. But I didn’t have that anymore. When I went home, I stayed in a guest bedroom. Beyond that, I had only a few drawers that I cleaned out after my month-long stay. For the longest time, I felt placeless. At school, I moved every year to a different dorm room or apartment. 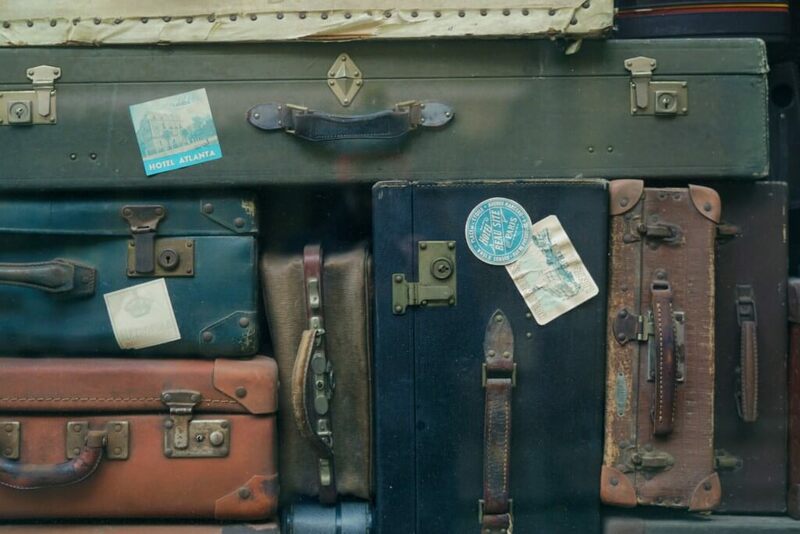 In the summer, I’d take my stuff and live out of my suitcase as a visitor in someone else’s home. Not having a permanent address just emphasized the fact that I was in a constant state of temporariness. At a time in my life when everything was new to me, I felt like I didn’t belong at UGA, or really anywhere. I moved around so much that I stopped caring about decorating or personalizing my dorms. While everyone who went to Athens, AKA the Classic City, instantly felt like they’d been welcomed home, to me it felt like a stopping point. Luckily, whenever I told my mom that I felt like I didn’t have anywhere that I could call home, she would tell me that I’m not alone. She reminds me every summer that just like me, her parents moved when she went to college. Even though it feels like I’m the only one going through this, she points out that I’m not. Knowing I’m not alone has helped me connect to a lot of other people in college who are going through the same thing. Over time, I realized that I should embrace my lack of roots. Rather than remaining tied to one place, I have the freedom to go anywhere I want. I am now less than a year from graduating, and I’ve realized that this time next year, I have no idea where I will be, and that I don’t need to know. My family is scattered in multiple states and I can apply for a job anywhere. I’ve even begun researching cities all over the world, trying to decide which place I like best. Instead of focusing on not having a permanent home, I think about how I have nothing holding me back. Now, for the first time ever, that idea sounds more exciting than scary.